Popup Choir Amsterdam | Kom gratis en vrijblijvend mee zingen! Singing together in A'dam city-centre. Non-committal & relaxed. 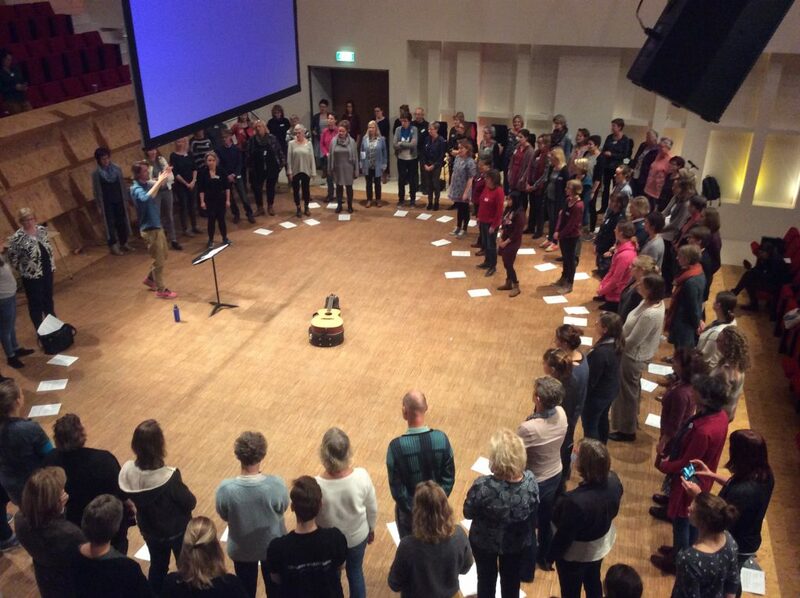 Come and join Popup Choir: the new non-committal popchoir in Amsterdam! Every other week (sometimes more often) we get together in the centre of Amsterdam (directly behind the Hermitage) to learn and sing one of the finest songs in pop music. We choose one major hit and make our own choir-version of it. You can book Popup Choir for any type of event: festivals, weddings, conferences and similar events – throughout the Netherlands of course. Are you in for an activity that makes everybody happy within an hour? Tijmen (guitarist) and Maarten (conductor) practice a song with all the attendees, and work on teamwork and cooperation in the process. Groups of 10 up to a 1000 persons become an instant choir: we guarantee a beautiful polyphonic result within the hour. Contact us to plan the perfect group activity with us! Check the Youtube-channel for more video's - click here! Popup Choir started out of an initiative by the Diaconie in Amsterdam. Meer info: http://www.diaconie.org. Wanna know more about the makers? See the websites of Maarten, Tijmen and Maurits. Want to hire Popup, use our arrangements of do you have another question? Popup Choir Amsterdam wordt mede mogelijk gemaakt door Kerk en Wereld.